Conscious Writing is a process of creative awakening that leads you to discover your true self and express your true voice, on the page and in the world. It's a journey of self-realization (conscious) and authentic self-expression (creativity) which can be applied to any and all types of writing, and fluently blends soul with craft to reveal your richest insights and ideas. Whether you dream of writing but haven’t started yet or are an experienced author, this book will guide you through a tried and tested step-by-step process for releasing your fears and writing what your heart truly desires. Open up a deep space of truth within you to access unlimited inspiration and the true source of your authentic voice. Write from the level of your true self, the eternal part of you that is entirely free from everyday anxieties and blocks. Writing Notes from the Universe I know what it feels like when the words come through me, rather than from me. Julia’s Conscious Writing reveals how to reach the inner state which is outside space and time to write that way consistently. If you have a message to share, read this book! Practical, profound, and insightfully written, McCutchen’s guide to creative awakening is a must-read for anyone interested in finding their voice and learning how to use it. I will read it again and again. 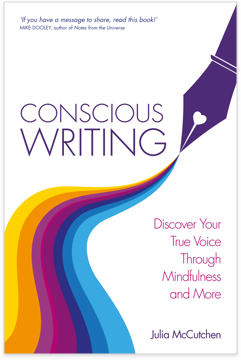 Conscious Writing, It’s a truly wonderful book that will sit next to Writing Down the Bones and other classics on writing, and will be well-used by me! Robert Holden, author of Happiness NOW and Shift Happens! Writing is only incidentally about words — it is more fundamentally about showing up, paying attention, being authentic — and growing conscious. All this Julia McCutchen explains beautifully in her new book Conscious Writing. Don’t miss it! This refreshingly holistic approach will serve writers of all kinds in their quest to write from the heart with a true voice. 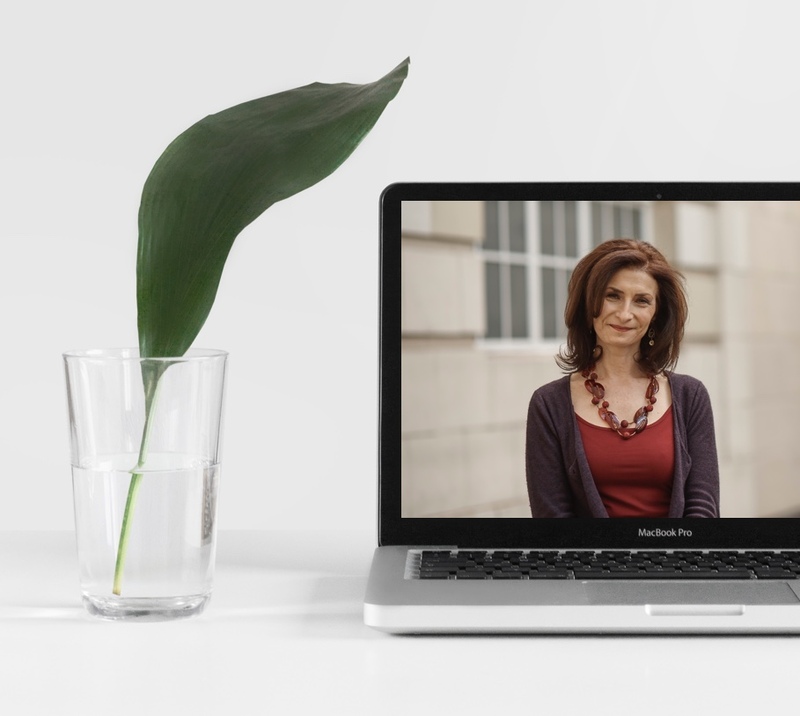 And whilst she focuses on conscious writing, her clear, inspiring and practical guidance offers great and timely value for any and all creatively authentic expressions of the heart, mind and soul. A beautiful and profound exploration of the close connection between spirituality and creativity, full of practical exercises which will help to release your own creative potential and enrich your life as a whole. Read and enjoy: this book will put you in readiness for your creative journey. I guarantee it. This delightful book is a trusted guide to helping you write with grace and inspiration. It can help break you free from eruditions exactitudes and strained similes, and lead you to find new juices for a jubilant jaunt into the next wave of your craft as a conscious writer. The wonderful insights and practises in this book, inspired by the perennial wisdom of spirituality and grounded in cutting edge scientific research, will guide both new and experienced writers to reach deeper into the secret source of creativity within and return with something truly special as a gift to the world. This work is powerful, it is direct, and its exposition is revelatory of the very conscious creative process Julia espouses. It provides rich resources for the working creative and for the spiritual practitioner alike. A deeply heartfelt exploration of the writer’s craft. Julia McCutchen’s Conscious Writing presents a whole-self approach to writing, a way of “blending the soul and craft of writing”. In this way, it is possible to realize our full creative potential and create a true and lasting connection both to ourselves and others. Bravo, Julia! Following a brief introduction, this audio leads you through the full Conscious Writing process including the guided visualization to the Conscious Writing Sanctuary. It enables you to transition from everyday mode to the deeply present and aligned state of being you need for original creative work. This journal goes with the Conscious Writing book and is the perfect place for you to process your thoughts and feelings as you write. It contains inspiring quotes to complement your writing experience and encourage you to keep the momentum going. 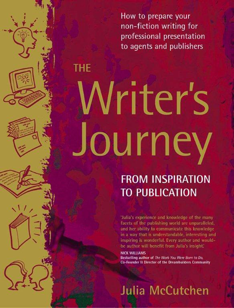 This book provides inside information on what publishers and agents are looking for. It demystifies the world of publishing and outlines the steps you need to take to make sure your book stands out for all the right reasons. Understand the essential components of the contract so you get maximum value when negotiating a publishing deal. Julia’s experience and knowledge of the many facets of the publishing world are unparalleled and her ability to communicate this knowledge in a way that is understandable, interesting and sinpiring is wonderful. I want to tell you how extremely useful your book was in helping me to find a publisher for my book. It was a bit like having a knowledgeable friend on my bookshelf.